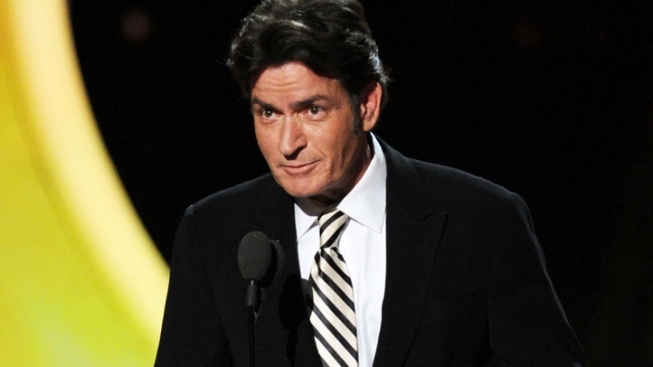 The Charlie Sheen Traveling Circus pulled up to the 2011 Emmy Awards, and his appearance was being contested right up to the eleventh hour. But the angst was for naught. It's been a crazy year for Sheen, who's been plagued by personal and professional troubles throughout, and there were concerns that he might go off the rails yet again on live TV. But the TV veteran was the very essence of grace. "Thank you. Good evening. Thank you, thank you," said Sheen. "Before I present Outstanding Lead Performance by Actor in a Comedy Series, my old category, I want to take a moment to get something off my chest and say a few words to everybody here from 2.5 men, from the bottom of my heart, I wish you nothing but the best for this upcoming season. 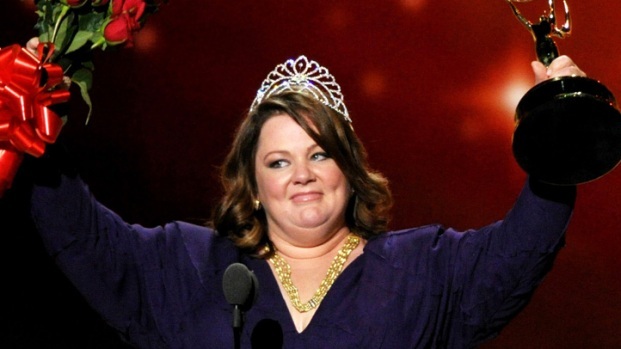 We spent 8 wonderful years together, and I know you will continue to make great television." Admit it--you're as disappointed as we are. Sheen has been this year's most talked about TV star, both for his self-destructive appetites and his war of words with "Two and a Half Men" creator/producer Chuck Lorre. So naturally, producers of the Emmy broadcast invited Sheen to be on the show, allegedly to present the award for Outstanding Actor in a Comedy, a category for which the actor was eligible, but declined to make a bid for nomination. This afternoon, Deadline reported that Lorre was furious about Sheen's possible involvement, and expressed his frustrations to TV Academy chairman John Shaffner, who also works as production designer for "Men" and "The Big Bang Theory," another one of Lorre's shows. Lorre wanted Sheen dropped from the show, and had others make calls on behalf of the cause. Sheen would've been the second casualty of the night, joining Alec Baldwin, whose bit was dropped following a disagreement with Fox over a joke about News Corp's phone hacking scandal. Charlie Sheen says that he's ready to get roasted on the Comedy Central special, but is anything off-limits? Also, Charlie chats about his new sitcom, "Anger Management," and new indie film, "A Glimpse Inside the Mind of Charlie Swan III." If tonight's Emmys appearance wasn't enough for you, you can see Sheen get roasted on Comedy Central tomorrow tonight at 10--one way or another, this is Charlie's world, folks.